The Donald Hall family sends these special Christmas cards to family, friends, and Hallmark Employees with 25+ years of service. 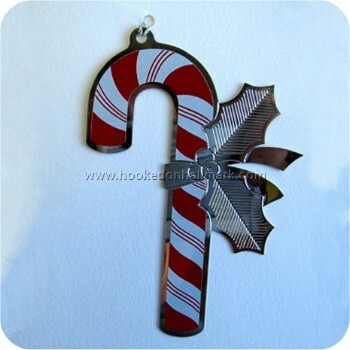 This Metal Candy Cane ornament is attached to the White Greeting Card. "The Halls 2007" is engraved on the back of the ornament.